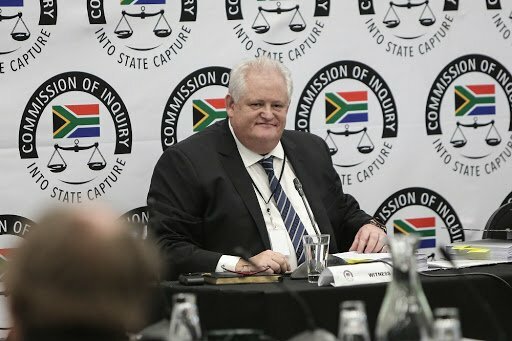 Sunday Times's tweet - "We have 3 pages of Bosasa scandal and the bombs #Agrizzi will drop at #StateCaptureInquiry on Monday. | Don't miss the #SundayTimesZA tomorrow "
I will rather wait for Monday..why were you silent all along? No thanks. Monday is the real deal. We will wait for Monday, thanks.. They will kill this guy. ,can or should we trust your story? Give the witness to tell his own story. Is my name also there? Please leave us alone ... re tlogele!!! So u guys get things before us because it's all happening in ur house? Why are you stealing Agrizzi’s thunder? Those who who received "chicken orders" are shitting in their pants now. We will wait for monday, with ALL the lies you paddle, we DO NOT even use your paper in the toilet, let alone read it #SundayTimesZA !!! #Agrizzi can speak for himsel! I'll wait for #Agrizzi to drop files. Your credibility is beyond questionable. Miss me!